Angie, the daughter of a career military father, moved often as a child growing up, living in many locations nationally and internationally and in many different types of homes. That experience gave her a unique perspective of what’s involved when helping clients find their next home. 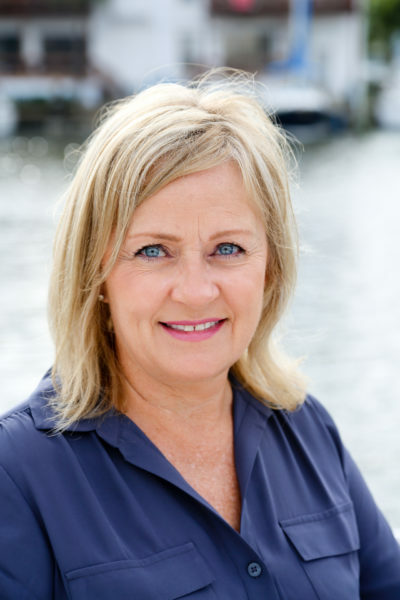 She specializes in guiding those that are new to the New Orleans area learn about our real estate market and find their perfect place, as well as with homeowners that are listing their property to identify what buyers want. A graduate of the University of Alabama, Angie holds a degree in Communications with a concentration in Advertising and Marketing. She has an extensive fine arts background as well and uses this expertise to aid her clients in staging their homes for sale as well as to assist buyers in visualizing what potential a current home on the market may have and how to make it their own. Before becoming a Realtor®, Angie worked in public relations for a lobbyist group in the Washington, DC area and in sales and public relations for Windsor Court Hotel and the Hyatt Regency in New Orleans. Angie raised two beautiful daughters, Margot and Meredith, and currently lives in Lakeview with her husband Dickie and their dog Winston.